Slap on a rear spoiler, side sills and a few other bits and you've got the next Focus ST. 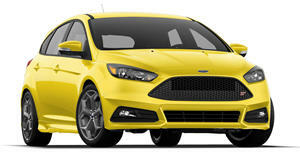 In about a year from now we’ll have seen the redesigned next generation Ford Focus. Taking into account the just revealed 2018 Fiesta won’t be coming to the US, the Focus has a very important task as Ford’s new entry-level model. What’s more, there will be a second generation ST and, hopefully, an RS. We’ve previously seen spy shots of the new Focus out testing, but Cars.co.za has created this pair of renderings, based on spy shots, of what the next Focus could look like. Look closely and you’ll see elements of Ford’s latest styling language, which is more evolutionary than revolutionary at the moment. Overall, it’s a sharper, more elegant look than the current car that we think gives the Focus a more mature look that’s similar to the Volkswagen Golf. 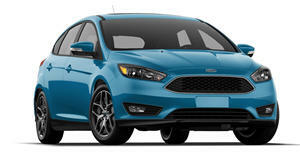 The new Focus will be built on an updated version of the existing front-wheel-drive platform, though Ford designers have managed to make the car lower, wider, and longer than the current car. Interior space will also be increased, especially for rear seat passengers. Also like today’s Focus, we’ll see the return of a number of trim levels, from the base SE to the ST. As for another RS, that still remains to be seen. Remember, the current Focus RS didn’t appear until towards the end of the generation’s life cycle. Engines, at least in the US, will include the familiar EcoBoost units and a pure EV trim is also likely to return. Ford is fully aware it needs to get the 2019 Focus right simply because there’s more competition than ever. We’ll very likely see the reveal of the new Focus sometime later this year or early next.